Why Us? 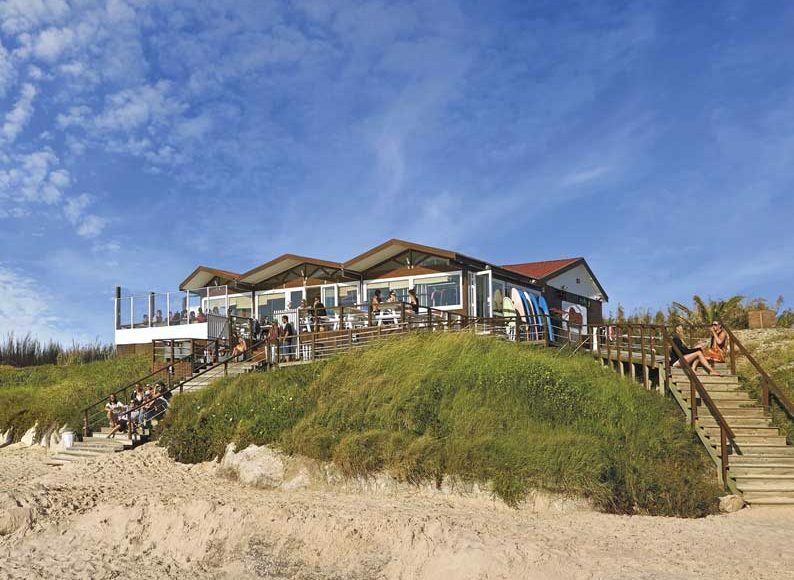 Quality Surf, Beach Front, Value for money! 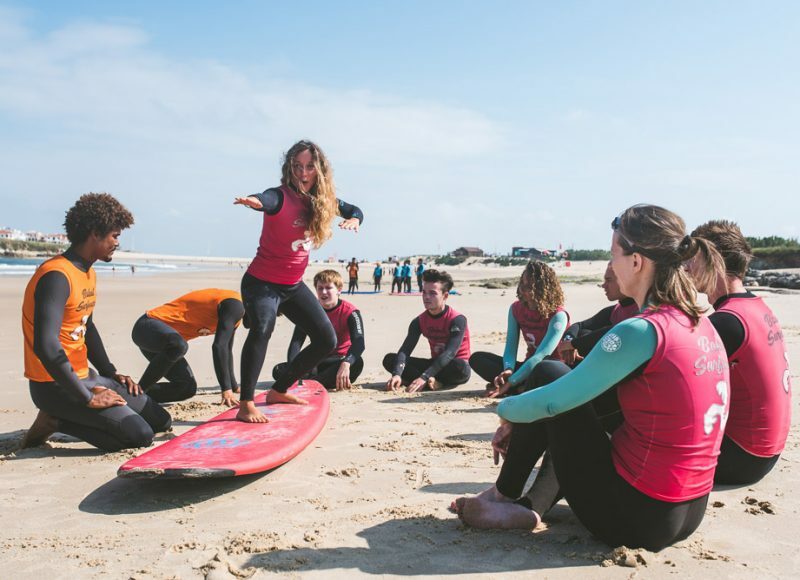 We’re the original Portuguese surf camp at one of Europe’s top surf regions, 25 years celebrated in 2018. 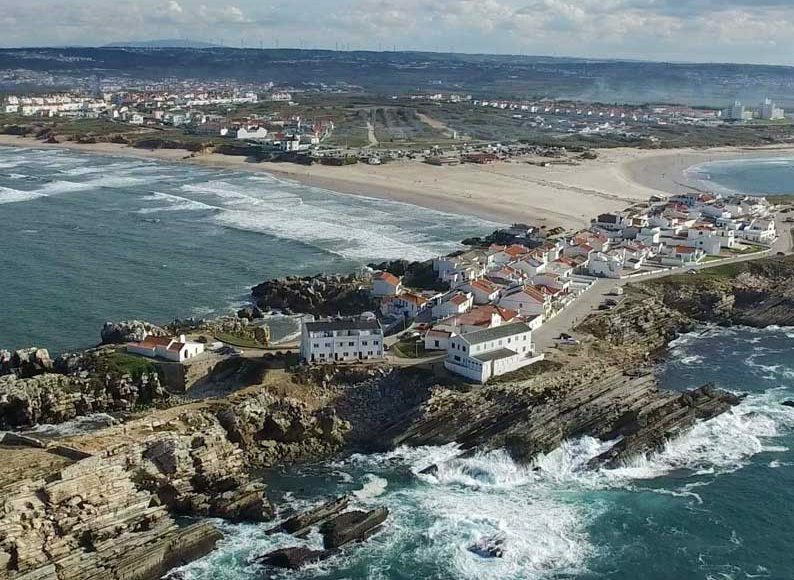 Many Peniche’s surf camps operate in Baleal beach, we are literally based on the prime learning spot; it can’t get better than that! 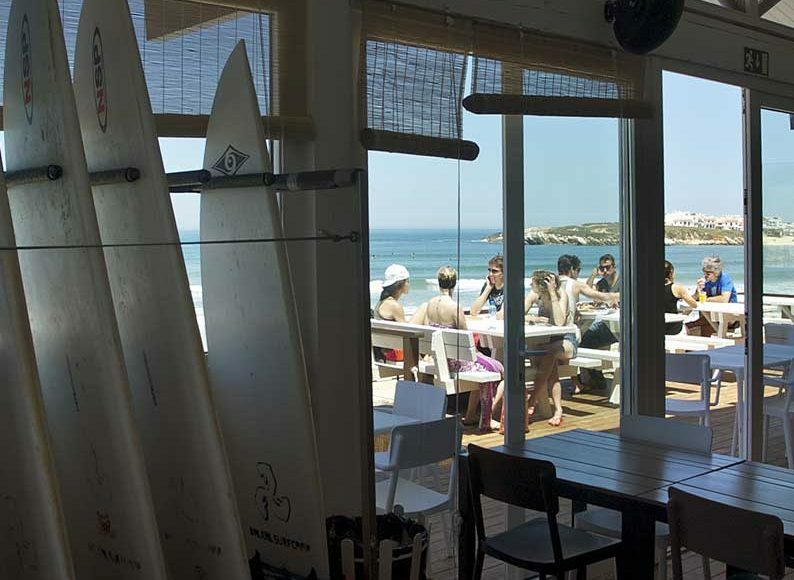 When you’re surfed out, just chill with a beer & watch the action from our exclusive beach base. 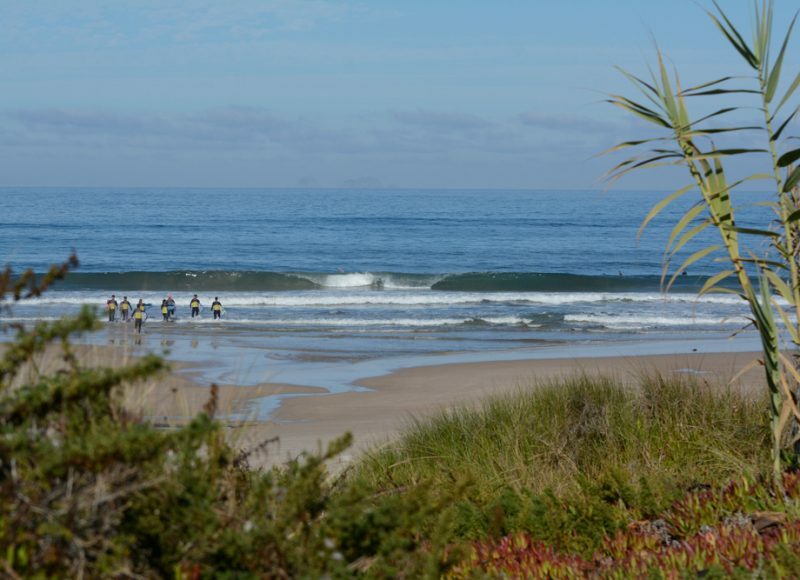 There are cheaper surf camps & surf schools, so why book with us? Because a top location, quality service, dedicated staff and good reputation are priceless! Read independent reviews on Tripadvisor and check the vibe on our Facebook page or Instagram. 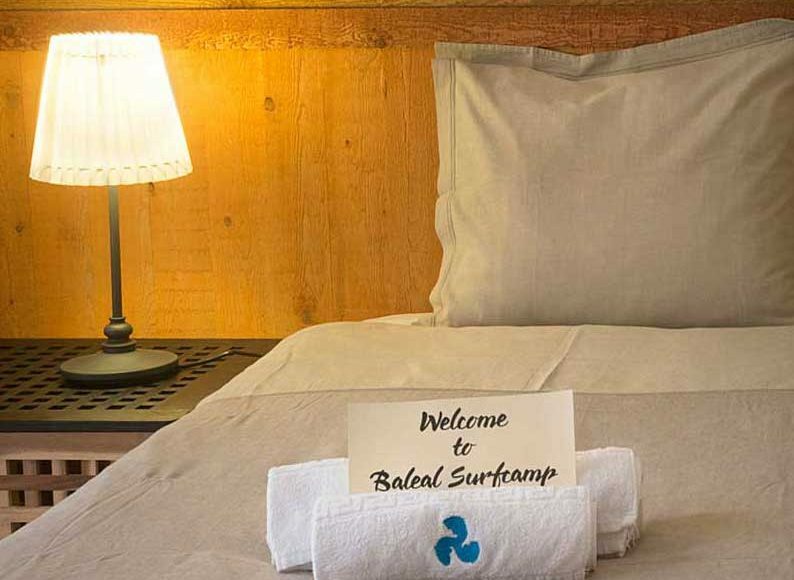 We’re sure you’ll find many reasons to stay with us; we’ll appreciate it too. 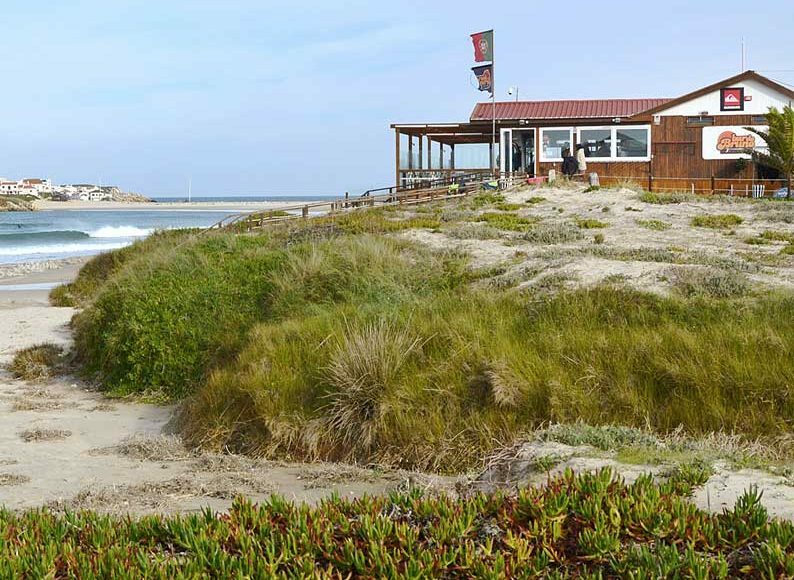 Your accommodation is a few minutes walking from the Cantinho da Baía surf spot. 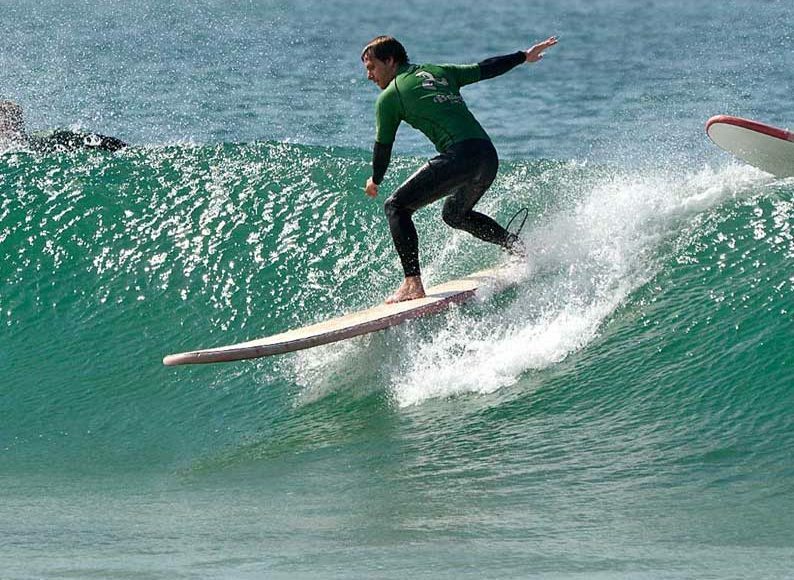 You’ll be surfing within 10 minutes of waking up. 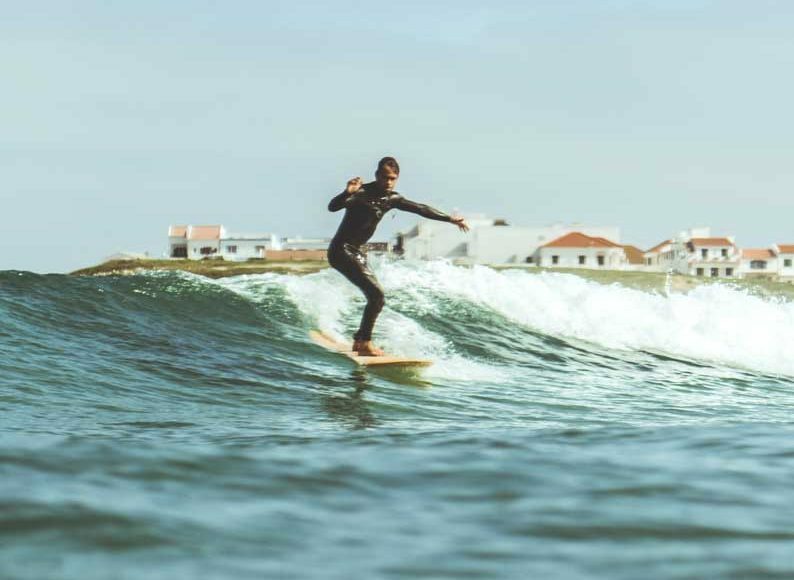 Easy & fast, no precious surf vacation time wasted. You’re traveling solo, with a partner or the family? 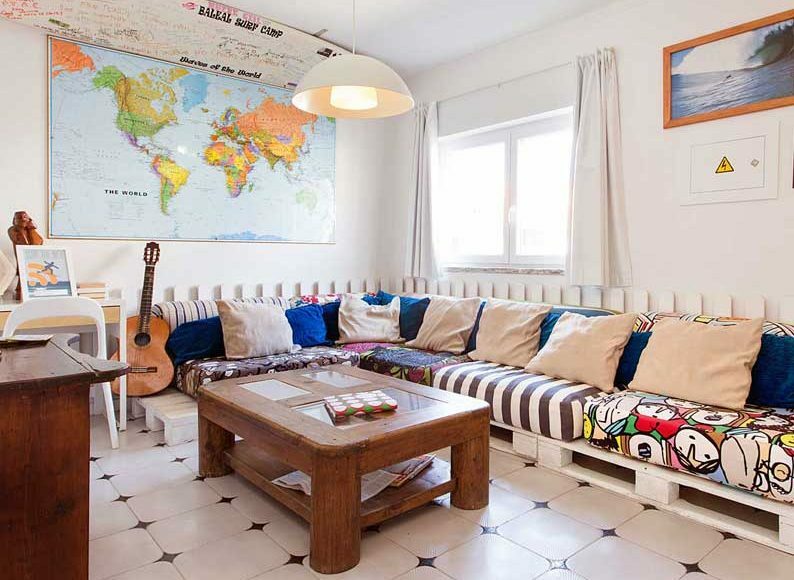 Choose the proper accommodation for you: Hostel / Villas or Private Apartments. 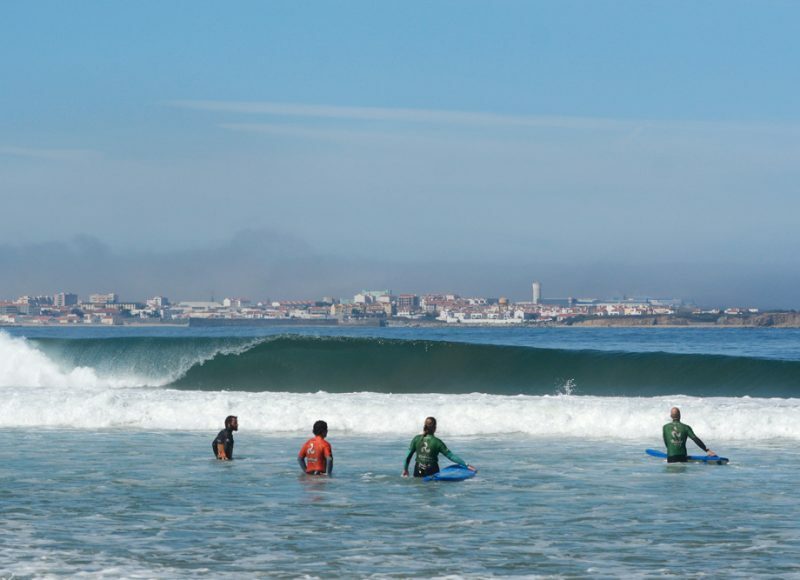 Is it possible to learn to surf in one week? Yes, but only with great teachers. We take quality seriously. 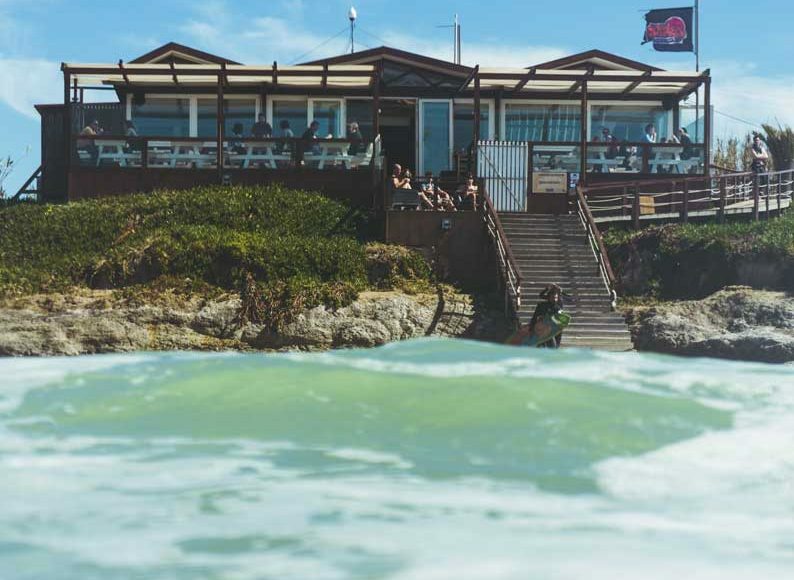 Head instructors have surf rescue & lifeguard qualifications, thus setting high tuition and safety standards. 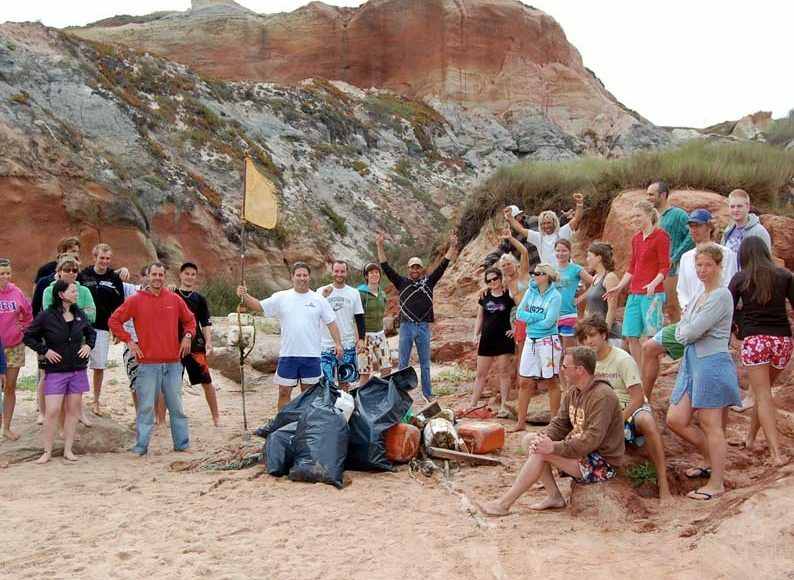 The surf camp & surf school equipment is renovated each year. 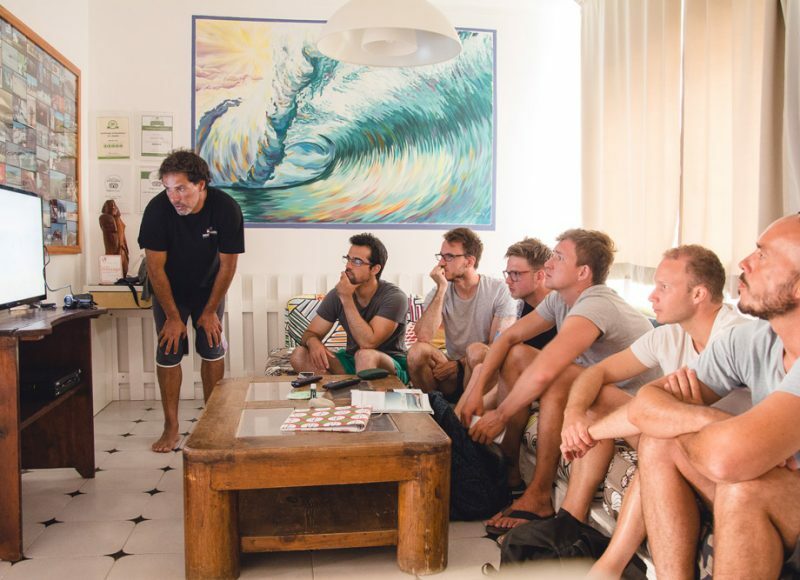 But there’s much more, you’ll meet a great team that makes it happen for you, check the surfcamp team. 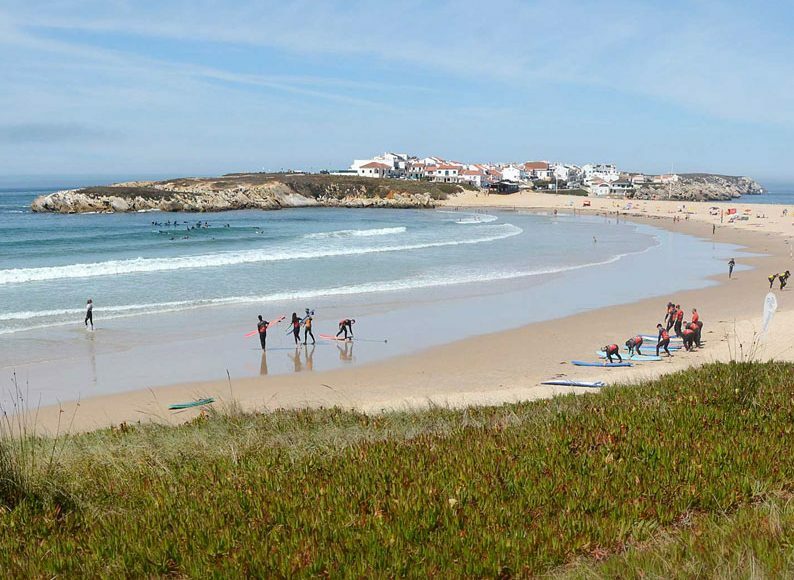 Peniche and Baleal are ideal for a surfing holiday. 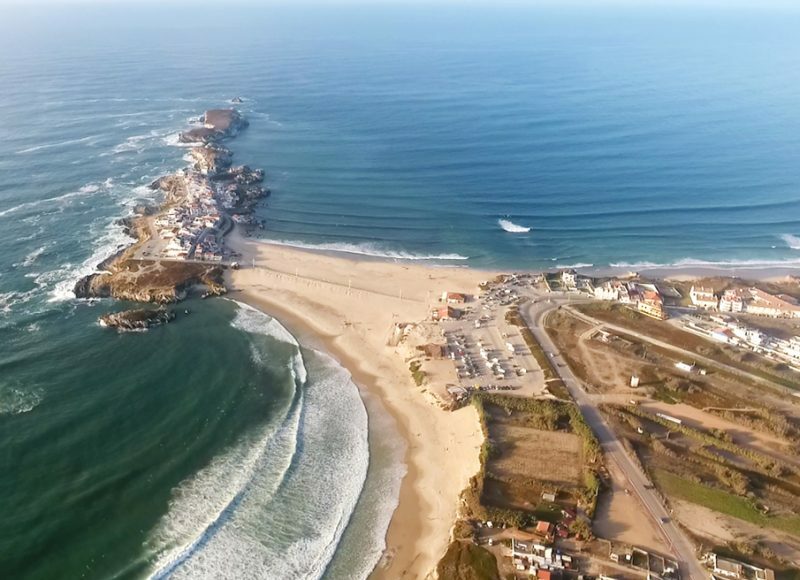 There’s a variety of waves – sand, reef, left, right, hollow or mellow – a few minutes distance apart. 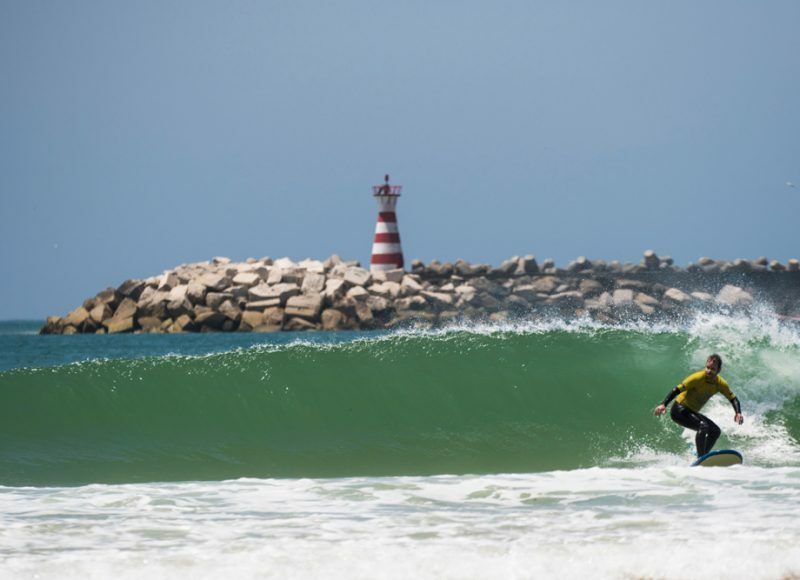 You’ll make friends from the world over & come back for more surf trips. The atmosphere is international the vibe relaxed. 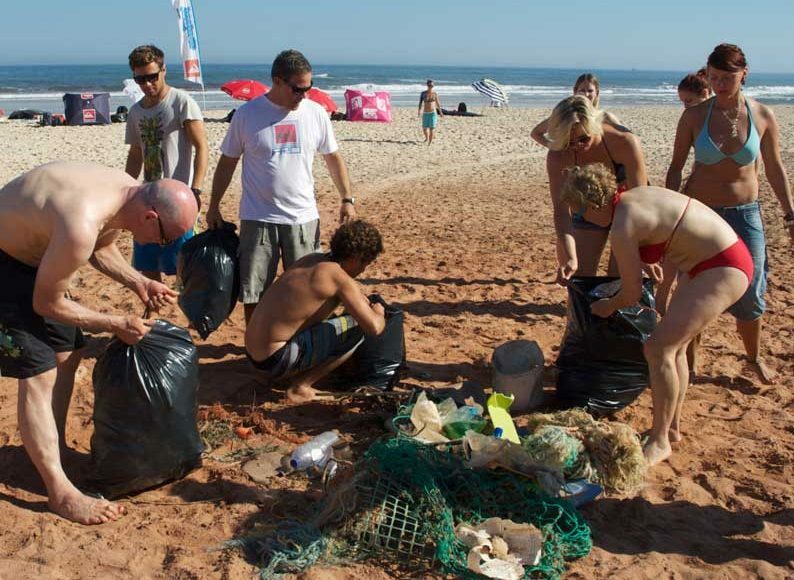 We involve staff & guests on a proactive environmental & sustainable attitude. 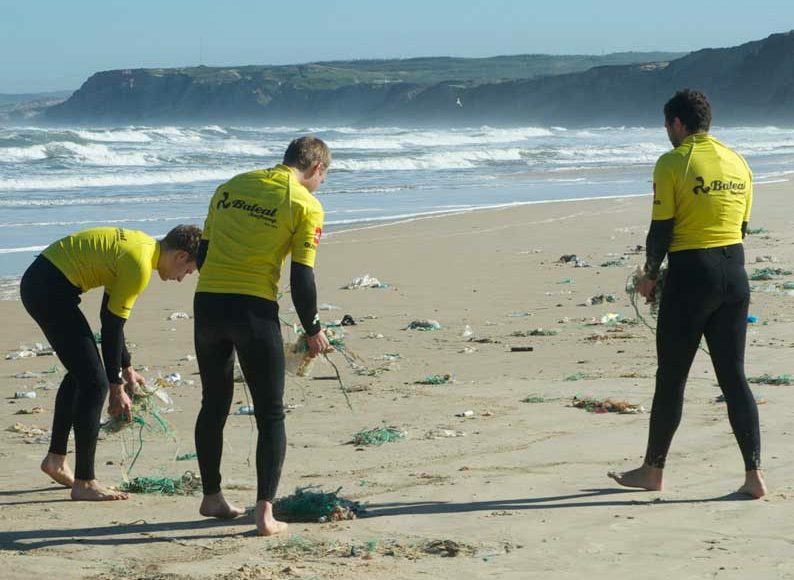 At times with the Surfrider Foundation and daily activities; beach clean-ups, driving less and using water saving taps are some examples. 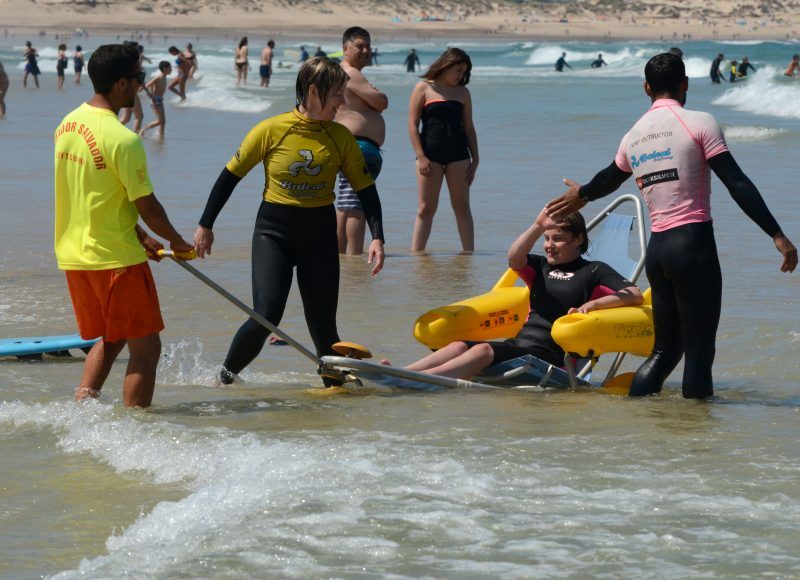 Honouring a long tradition we organize surf baptisms and free surf experiences to impaired or social problematic children. All of those for free and on our time.